“Night of the Monster Men” part 2! The Monster Men are stomping their way through Gotham City. How can the Bat-team face the monsters and the storm of the century? 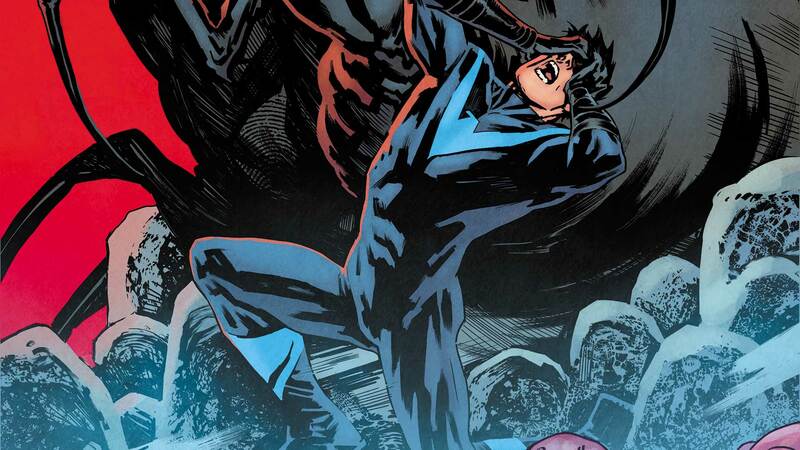 And when Nightwing goes behind the scenes to discover where the monsters came from, what lurks in the shadows may be worse than the monsters themselves!